Hi guys. It's the last week before school starts here in Jersey and I couldn't be more miserable. Okay for those who may not know my day job, I work as the computer help-desk for the school district. My phone was blowing up with calls all day, if I have to hear one more 'What's my password?' today I'm going to explode. Luckily for me I have pretty polishes to play with as soon as I get home from work. That is seriously the thought that gets me through the day haha. 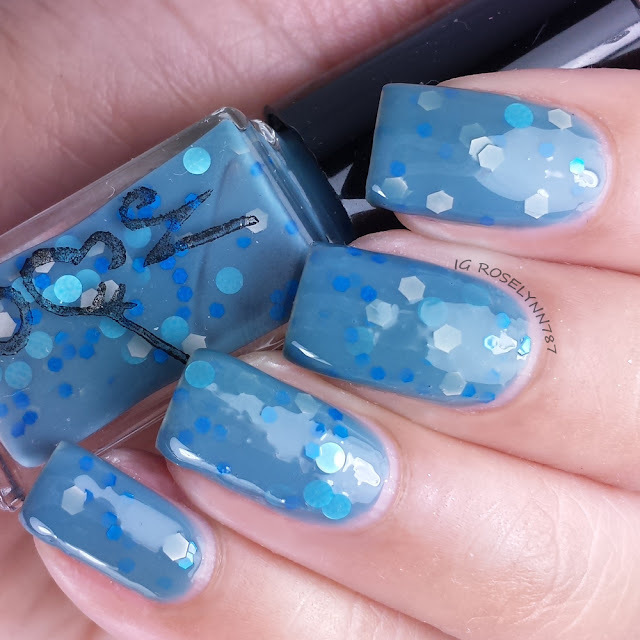 Today I have another throwback to our past, here's The Pagemaster Collection by Nvr Enuff Polish. Yes, this is based on the 90s movie starring Macaulay Culkin. Oh memories. The Pagemaster Collection by Nvr Enuff Polish is already available for purchase in their store. However, as of this post, the store is closed and will be reopening sometime today Monday August 25th. 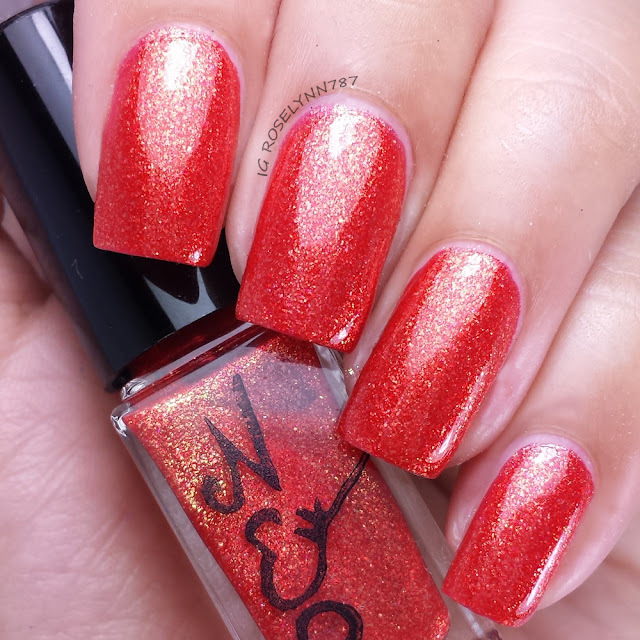 Adventure is a striking red polish filled with gold flakes and a lighter red shimmer finish. This polish is named after the namesake character in the movie and the representation is divine. It's extremely bright and the gold flakes are the perfect touch. I was also very impressed by how opaque it was in a single coat. If applied well enough, it could be a one-coater. For a smoother look, I applied two thin coats and sealed it with a topcoat. Formula was excellent and gave me no trouble with the application. Adventure is my top recommendation from this collection, hands down. 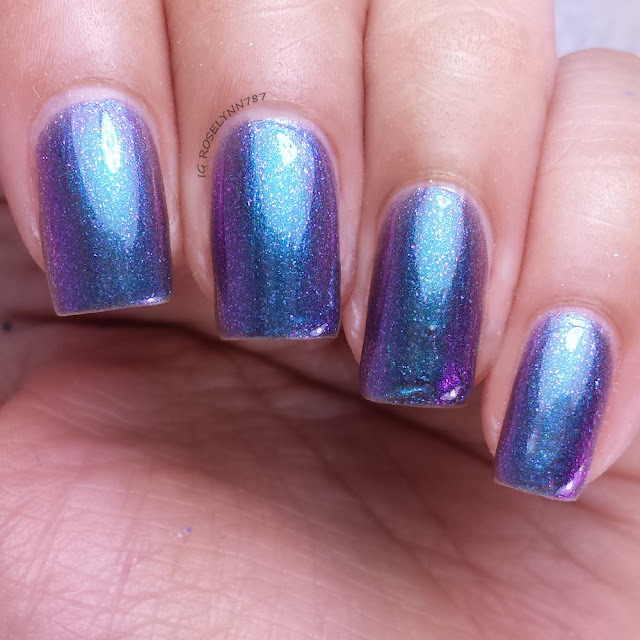 Pagemaster is a multi-chrome that shifts from blue to purple to plum red and dries to a lovely shimmering finish. Of course, you have to make the namesake of the collection look exquisite. I love the color changing effect, think thermal without having to make your hands sweat or freeze haha. You will have to layer this a bit for a full finish since one coat will be sheer. For these swatches, I used three thin costs and sealed it with a topcoat. Very nice formula, however, do be mindful of your brush strokes. 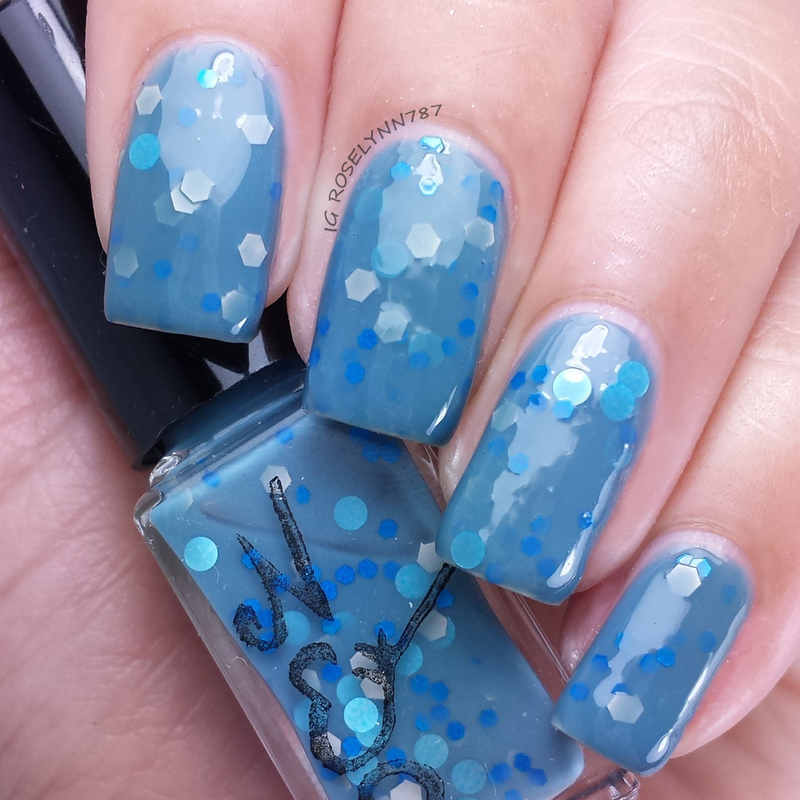 Horror is a blue squishy jelly polish filled with gray and bright blue hex glitters, as well as, light blue circle glitters. This is another one of my must-have favorites from this collection. I'm always a sucker for a good jelly and more-so if it's especially 'squishy'. Formula and consistency were great with no issues. I would say no glitter fishing, but honestly that'd be an understatement. I had to be careful not to apply to many glitters. Fantasy is a lavender polish with a gorgeous light gold flakey shimmer finish. So creamy, that's the best way to describe this beauty. 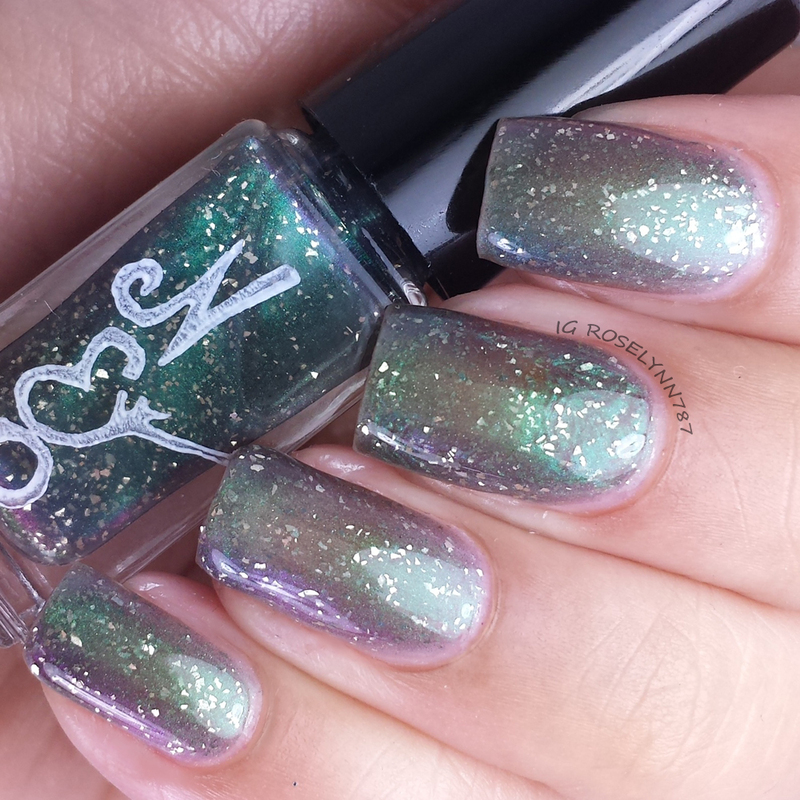 This is another polish from this collection that has almost full coverage in one coat. 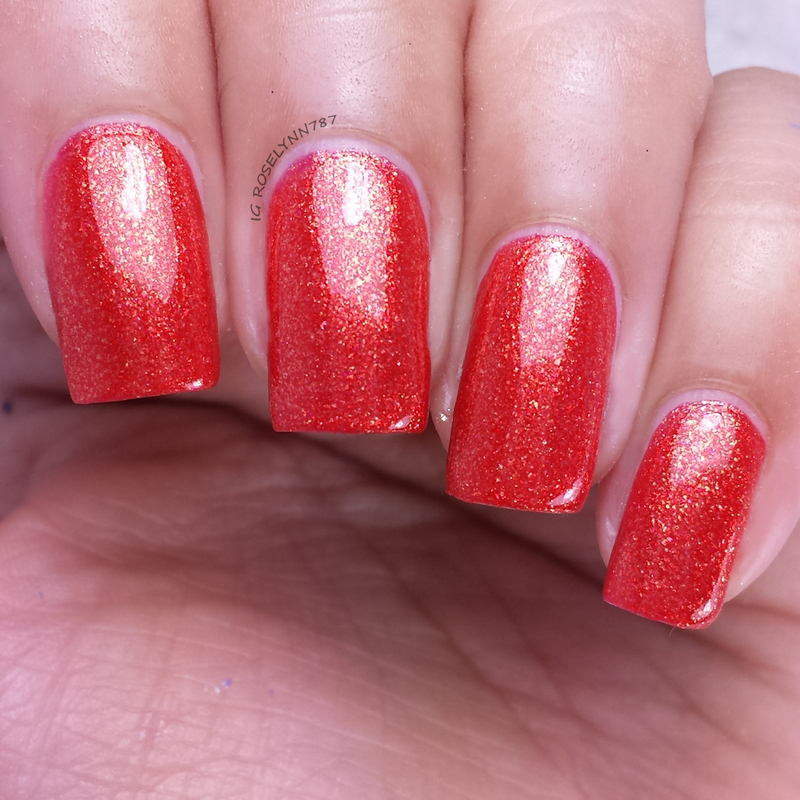 For this swatch, I used a second coat for a smoother finished look and sealed it with a topcoat. Again, great formula with no issues to report. 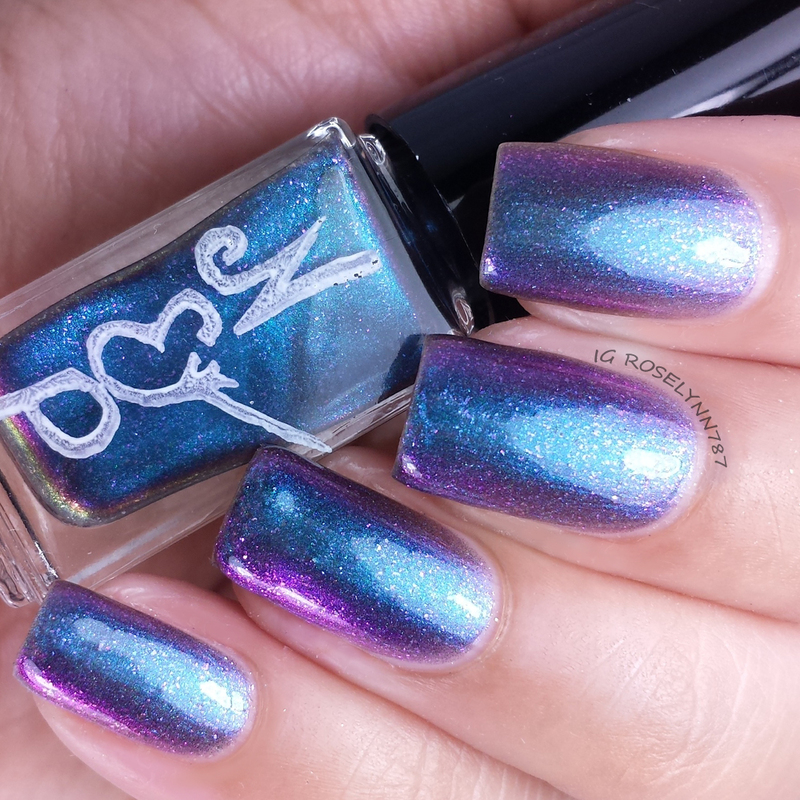 Dr. Jekyll and Mr. Hyde is a multi-chrome polish with silver coated flakes. Check out the duo color madness! The colors shift from blue to green to purple in the light. I love the description for the character representation used by the makers, which you can read on their website. 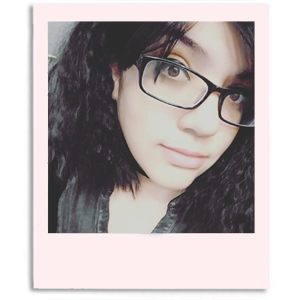 On a personal note, I happen to not like how the colors reflect against my skin tone. But again, that's a personal preference and not necessarily a reflection on the polish itself. The formula was consistent and didn't give me any trouble when applying. It is very sheer in a single coat and you'll need at least three for a comfortable level of opacity. 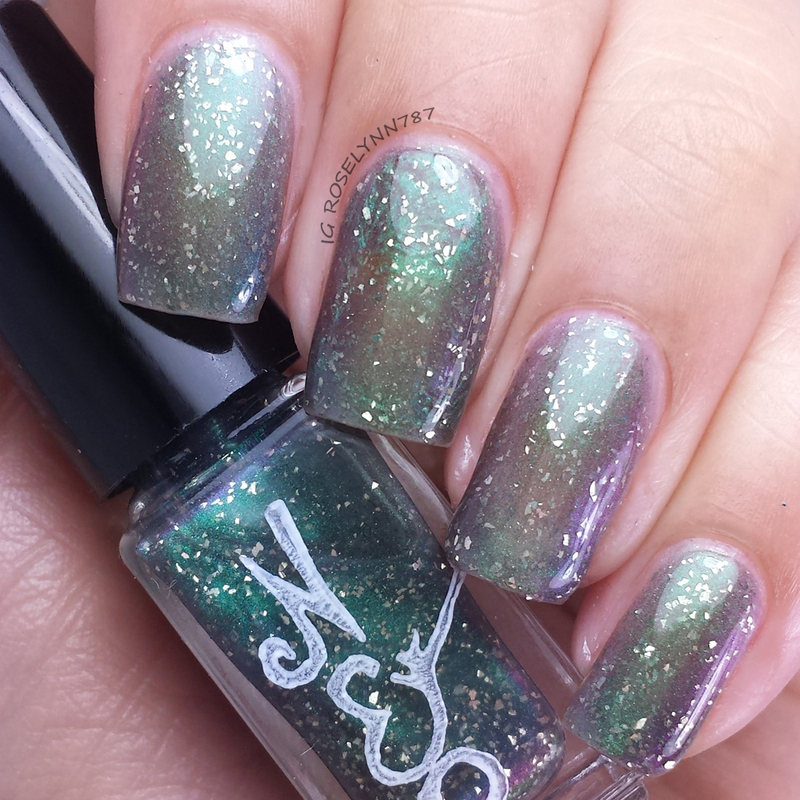 Overall the The Pagemaster Collection by Nvr Enuff Polish has a very diverse set of finishes and colors. I like it a lot when a makers put an effort to give us a collection that doesn't have the same style across the board. Definitely a little something of everything with some big hard-hitters. Without a doubt my favorites are Adventure and Horror, must-haves from this collection. 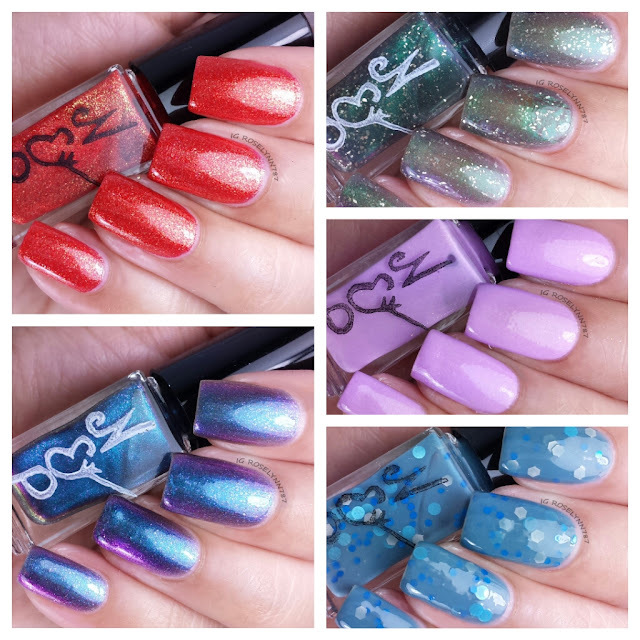 After reviewing this collection, it reminded me that I have a few polishes from this indie that I purchased last month that I haven't reviewed yet. I'll be doing those soon so you guys get an even better feel for this indie. Cause let me tell you, yes they're new, but they are coming out of the gate swinging! 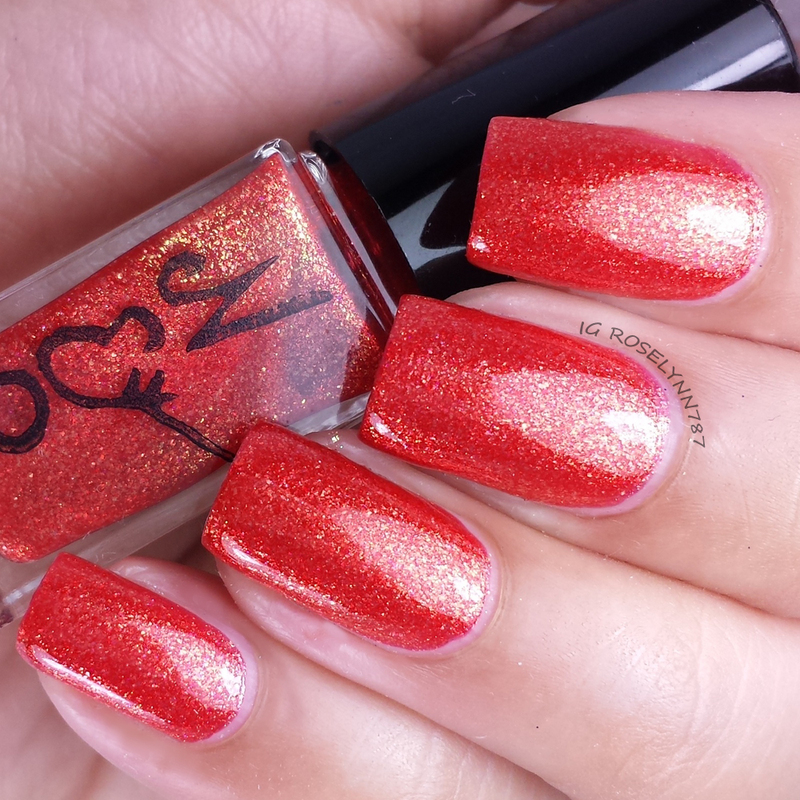 Keep an eye on the ladies from Nvr Enuff Polish, I sense great polish releases in their future. So tell me guys, do you remember this amazing 90's movie as fondly as I do? Who was your favorite character?